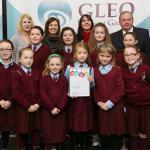 On Wednesday, 5th December 2012, St. Raphael’s Primary School was presented with a GLEO Award. 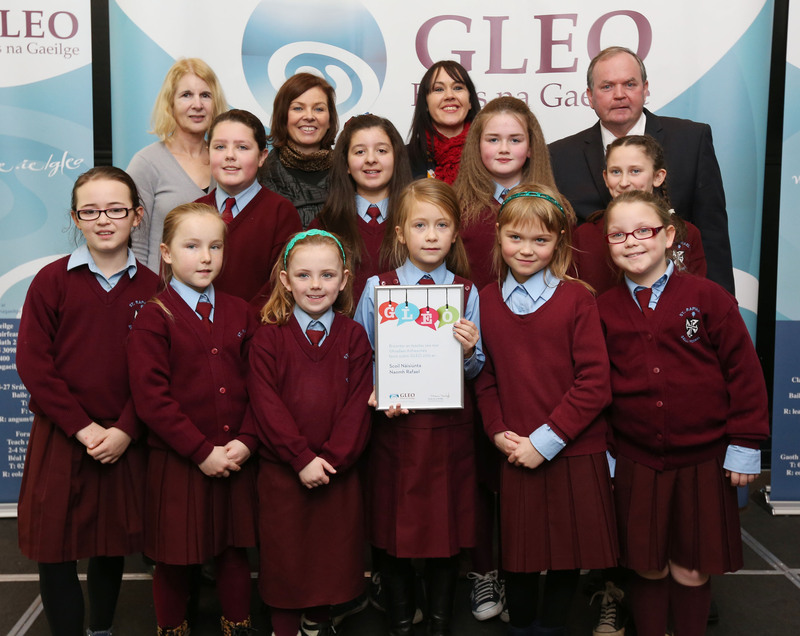 This award was administered by Foras na Gaelige and awarded to 17 Primary schools in recognition for spoken Irish in the school environment. Ten children, from classes 2nd to 6th, attended the ceremony with Ms. Dunk (Deputy Principal), Ms. Lalor and Ms. Curtin. GAA President Liam Ó Néill welcomed the schools and spoke about the importance of the spoken language and its strong connection with the Ireland of today and the Ireland of tomorrow. He praised the efforts of the students, teachers and greater school family for their endeavours in relation to the promotion of the spoken language in their own areas. Congratulations and well done to all the children involved.